If you do not have a passion for the sport of Mixed Martial Arts, then the cost of combat will be far too high. In addition to the physical training, the cost of being a fighter goes beyond the physical and the mental, it actually comes straight from your bank account. So, what does it take to begin, stay the course and achieve success in Mixed Martial Arts? Besides talent, it takes cold hard cash. I have been around MMA since 1998. 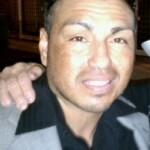 This article is based on my observations as a participant and a fight fan. I think a lot of people overlook the cold hard cash so, I would like to simply give a little insight into the life of MMA competitors from the regional level on up to the top. Obviously, training camps cost money. Either in the form of a flat fee for gym dues or if you have been around awhile and have shown some success, a percentage can be taken from your fight purses to pay for your coach(s) & trainer(s). Bottom line, camps cost money. On top of that, a top level fighter preparing for a big UFC fight or a championship bout sometimes has to bring in training partners from other camps or specific disciplines to help them prepare for a specific opponent. This adds up fast. Despite the talent that many gyms have not every gym may have an All-American wrestler or advanced black belts in BJJ or a boxing coach that has worked with fighters on the highest levels. I think you see where I am going here. While not every local or regional fighter is going to face someone with a specific skill set to be addressed. Many local fighters want to constantly improve their game. So, when they cannot get something at their own gym, they have to cross-train at other local or regional gyms. In addition to the drop-in fees paid for those other gyms, the fighters will also have to pay for gas or transportation to and from these locations. Even one trip a week for a six-week training camp can add up. Now make no mistake, there are additional costs for the equipment needed to properly train; (boxing gloves, MMA gloves, headgear, groin protection, various pads, hand wraps, tape, shin guards, mouth-guard etc. You don’t want to skimp on gear, you name it and it’s another cost. Some fighters do have sponsorship from companies that produce training gear; many especially on the local or regional level, do not. It is up to the fighters to absorb these expenses themselves. And it is not so uncommon to see local and regional fighters on Facebook or Twitter pandering for money to pay for their training camps, gear and costs of medical maintenance and testing. Fighters must also sustain the energy to make it through multiple daily training sessions, sometimes while simultaneously cutting weight. 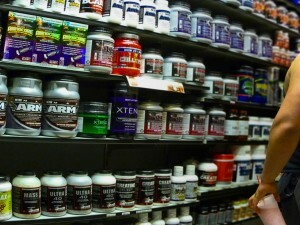 Food and nutritional supplements get expensive quickly at the higher levels of the sport. There are even a fighter or two that has an actual food sponsor that will prepare and send them meals, and a supplement sponsor is no stranger to MMA. MusclePharm is one of the main sponsors of the UFC, Gaspari Nutrition used to be one of Ronda Rousey’s main sponsors and Onnit has made waves in the recent years. As lots of fighters have chosen their product. There are hundreds of nutrition companies out there. At the higher levels of the sport, this type of sponsorship certainly come easier. On the local and regional levels, there are a number of fighters that are able to obtain supplement sponsorship just because there are a large number of companies out there, wanting to get into the sport. Some of these companies certainly have more to offer than others. These companies come and go all the time so be prepared for a transition if necessary. Keep in mind, even cases like that are few and far between. Most regional and local fighters would be hard pressed to find anything in the area of a supplement sponsor if they are not fighting on a televised event or in an area where the particular sponsor may not have a retail location that would make the sponsorship worth it. The bottom line is eating healthy is not cheap. Even the food preparation itself costs, not so much in money but in time. If a fighter must prepare the food for themselves, that can take a significant amount of time. 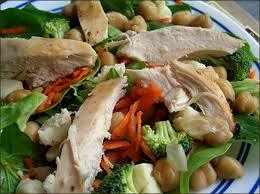 Most fighters would not hesitate to tell you that weekly food preparation will take an entire day. 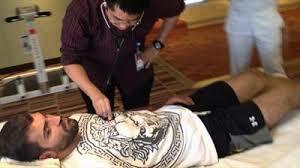 You must be given a clean bill of health before every fight especially if you are coming off of an injury. Add to these costs, the cost of any additional treatment that you take after weighing in. Sometimes you will need and I.V. to help with re-hydration. Some fighters do things like acupuncture or see a chiropractor to make sure they are feeling prime before they step into the cage. If the promoter does not have someone on staff who is qualified to administer an I.V., paying someone to do that adds an extra expense as well. Do not forget medical tests, and the upcoming random PED testing. These things are small ball compared to injury. If you get injured during training you will be responsible to pay for at least the 3 to 5k deductible if you have already paid $100 (minimum) a month for health insurance.